I am hoping someone can tell me why the copy of the parish register for Lier is different to the official register. 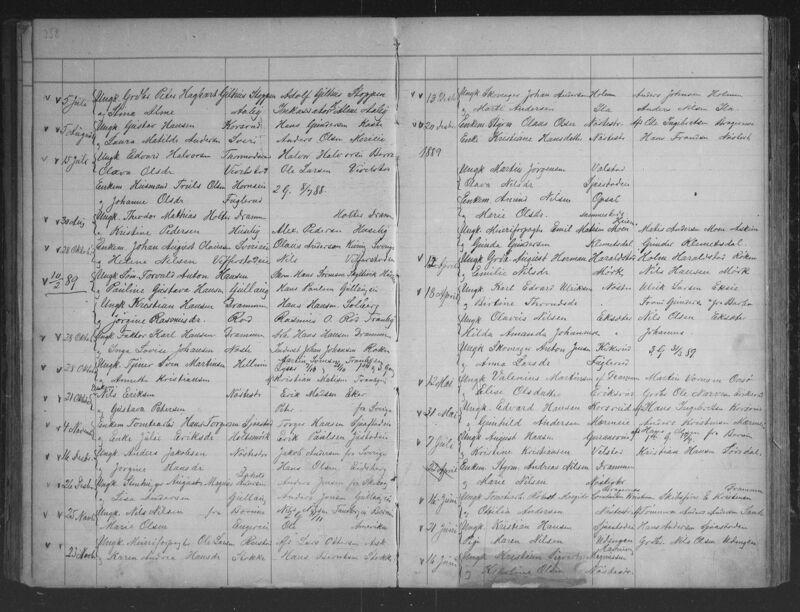 I find my ancestor, Andreas Nilsen, married Marie Nilsen on 22nd April 1889 at Frogner, Lier, Buskerud. But the date of 22nd April seems to be crossed out. When I look in the official parish register for the same period, my ancestors do not appear, and there is no marriage for them on the 22nd April. Can someone please help me and tell me why this is? Any ideas what has happened here? Were they married at Frogner on 22nd April or not? Kildeinformasjon: Buskerud fylke, Frogner i Lier, Klokkerbok nr. II 1 (1874-1898), Ekteviede 1889, side 358-359. Kildeinformasjon: Buskerud fylke, Frogner i Lier, Ministerialbok nr. 15 (1883-1894), Ekteviede 1889, side 296. - there are several couples written in the "klokkarbok" but not in the parish registry. For most (all?) of these, no date is noted. - the sequence (of those found both places) is not the same. This may indicate that the couples were noted in the "klokkarbok" when they registered for marriage. Then, when the ceremony was scheduled, the date was added and when conducted, the couple was registered in the parish registry. Hence, a possibility is that a date for this couple had been assigned, and then cancelled.The marriage might, for some reason, be completely cancelled. Alternatively it could have been moved to another parish at a later time. So I guess I can search in the surrounding parishes. I know Andreas was baptised in Strømmen, as was their first two children. 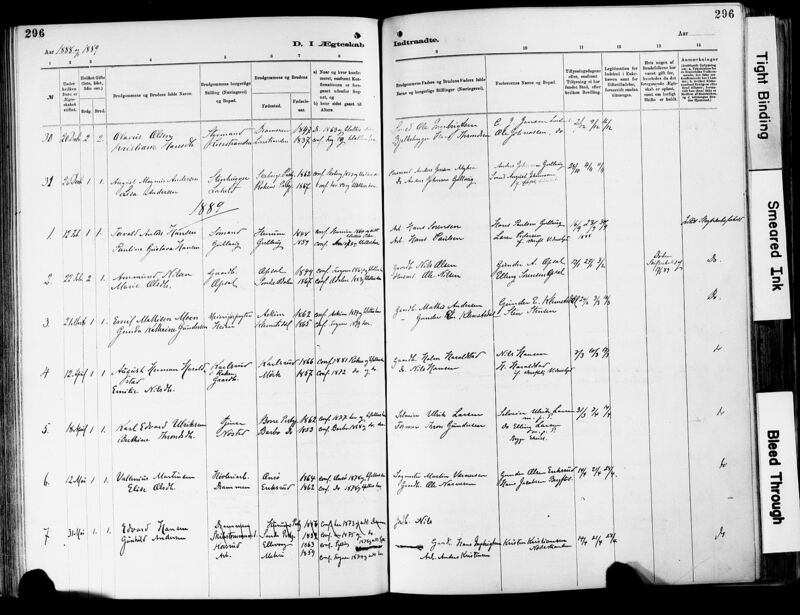 Dina Marie was baptised in Sande, but their records have been transcribed and I didn't find them there. Their 'bosted' in the klokkarbok was Bragernes and Drammen, so I guess I should search all parishes in Drammen (Bragernes, Tangen, Strømsø, Strømsgodset & Åssiden) as well as Skoger I guess. Is there anywhere else I should search?